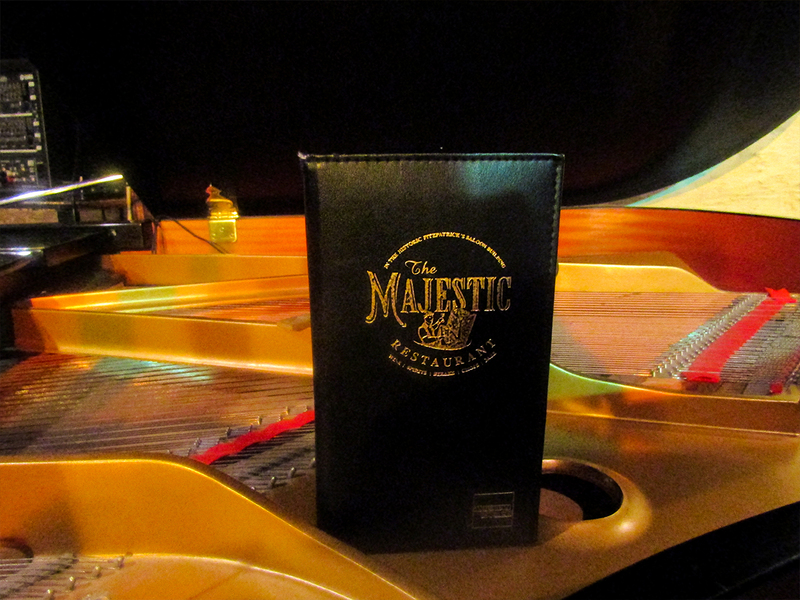 You can now purchase gift cards to The Majestic Restaurant through our website. These gift cards make wonderful gifts for friends, family, and business associates. They will ensure the recipient of a wonderful evening in a classic Kansas City steakhouse. They also reflect well on the taste of the purchaser. These gift cards can be used for any of the food and beverage selections at The Majestic Restaurant. We use PayPal for your credit card transactions to ensure the security of your credit card information. A physical gift card will be mailed to the address provided within 3-5 business days. If you would like to change the mailing address, add a personalized message, have a digital version emailed to you, or pick up the gift card at the restaurant, please contact us at lacey@majestickc.com immediately after you have placed your order. We invite you in to The Majestic Restaurant to try a Kansas City steak and find out why we feel they are the best steaks you can find.